- Tarot of the day: Is just that! One card and an intuitive message sent straight to your email! 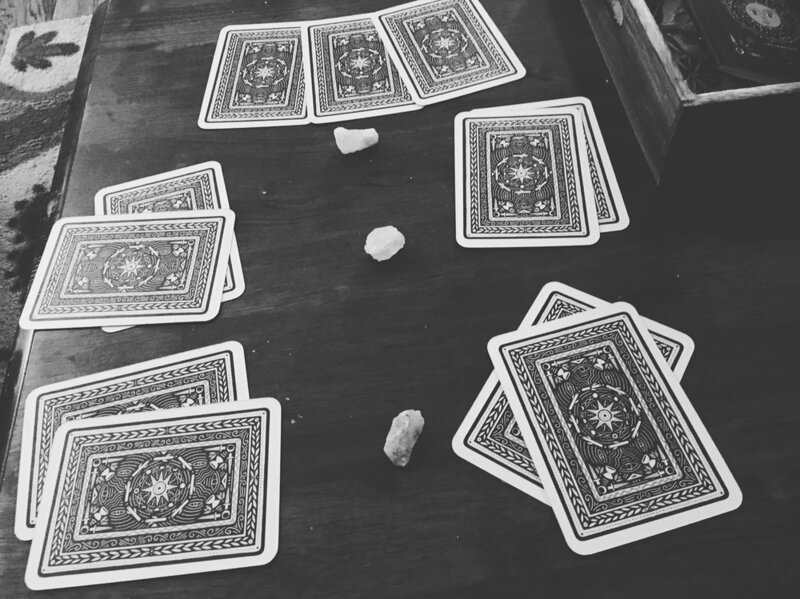 - Quick Check In - Is a FIVE card reading that'll help clear up some things for you! If you're a busy bee, this is the perfect option for you! - Intuitive Session: Is a 30-minute / Hour reading, where we sit in conversation with your higher self, and the divine. In this reading, we will get down to the roots, and you will discover the parts of yourself that you didn’t even know existed! - Month Ahead: Want to get an insight on what's in store for you in this month? Through the monthly reading, we'll do a week by week overview of the themes that are present in your life. We'll talk about how to navigate the energy that presents itself and search for any form of lessons! Thank you for joining the MagickGAL community and booking a session with us! All bookings are done through PayPal and if you have ANY questions please email me! ask.magickgal@gmail.com If you need to pay via CashAPP, Venmo or PayPal please email us your name, service app name, scheduled time and preferred contact information. I.e. FaceTime, Skype, Phone call, or email. Please know that sometimes readings will need to be rescheduled! Which you will be notified and we will provide another date. Your payment solidifies your session! If for whatever reason we can’t get into contact with you the day before or day of your session you will NOT be refunded.